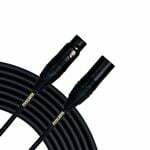 XLR cables use three conductors to carry a balanced audio signal, and can go a greater distance without degrading the signal. 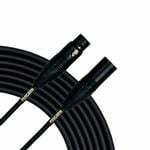 These are generally used with condenser microphones, microphones requiring phantom power, and carrying a balanced signal from a direct box or keyboard. Rating (76) 4.5 out of 5 stars. 76 ratings.